1. 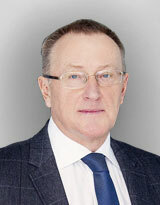 Konovalov A.N., Potapov A.A., Likhterman L.B. et al. The reconstructive and minimally invasive surgery of head injury sequellae. Moscow; 2012: 319 pp (in Russian). 2. Likhterman L.B. The neurological signs of head injury. Moscow; 2009: 378 pp (in Russian). 3. Likhterman L.B., Potapov A.A., Kravchuk A.D. et al. The sequellae and complications of head injury. In: Konovalov A.N., Likhterman L.B., Potapov A.A. (eds). The clinical guidebook concerning head injury. Vol. 3. Moscow; 2002: 631 pp (in Russian). 4. Likhterman L.B., Potapov A.A., Kravchuk A.D. The modern approaches to diagnostics and treatment of head injury and its sequellae. Zh Vopr Neirokhir Im N N Burdenko; 1996; 1: 33-7 (in Russian). 5. Likhterman L.B., Potapov A.A., Kravchuk A.D. et al. The clinical signs and surgical treatment of head injury sequellae. Consilium medicum. 2013; 1: 42-50 (in Russian). 6. Nepomnyashchiy V.P., Likhterman L.B., Yartsev V.V. et al. Epidemiology of head injury. In: Konovalov A.N., Likhterman L.B., Potapov A.A. (eds). The clinical guidebook concerning head injury. Vol. 1. Moscow; 1998: 129-51 (in Russian). 7. Potapov A.A., Likhterman L.B., Kravchuk A.D. Chronic subdural hematomas. Moscow; 1997: 232 pp (in Russian). 8. Potapov A.A., Okhlopkov V.A., Likhterman L.B., et al. Posttraumatic basal liquorrhea. Moscow; 1997: 128 pp (in Russian). 9. Complications and Sequelae of Head Injury. Neurosurgical Topics, Edit. D.L. Barrow, AANS, USA, 1992, 201 p.
10. Gennarelli T.A., Spielman G., Langfitt J. etal. Influence of the type of intracranial lesion on outcome from severe head injury. A multicenter study using a new classification system // J. Neurosurgery, 56:26-42, 1982. 11. Speed W.G. Closed head Injury sequelae: changing concepts. Headache. 1989, Vol. 29, № 10, p. 643-647. Лихтерман Л.Б. УЧЕНИЕ О ПОСЛЕДСТВИЯХ ЧЕРЕПНО-МОЗГОВОЙ ТРАВМЫ. Нейрохирургия. 2015;(1):9-22.